Last month, Spotify announced that it had paid $340 million for Gimlet and Anchor in a push to make its mark on podcasting. But while it’s encouraging to see media giants throw weight and money behind the medium, the beauty of the format has always been its accessibility. It’s the rare form of entertainment that’s nearly as easy to create as it is to consume. And now, thanks to the proliferation of devoted hardware and software solutions, it’s never been easier. Podcast studios run the range from NPR to Skype chat and every variation in-between, with recording rigs every bit as diverse as the shows themselves. 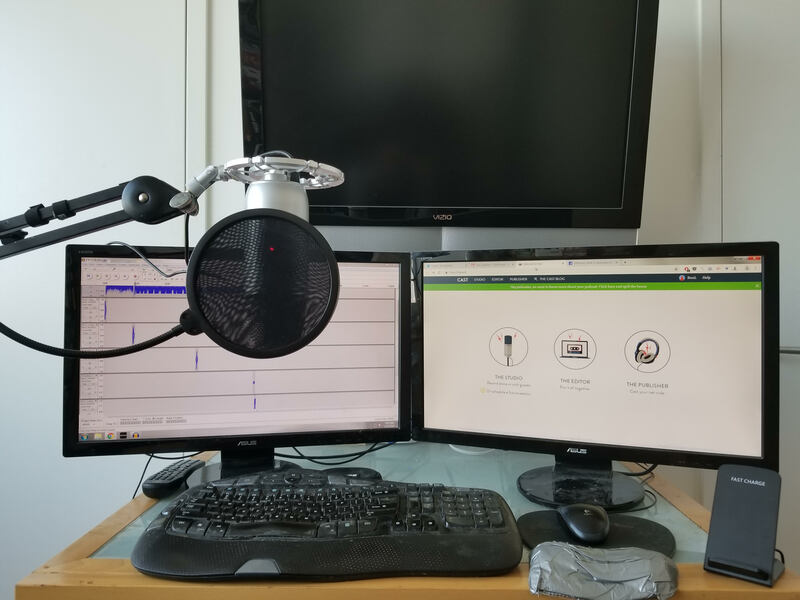 After receiving some great feedback from my writeup of my own setup, I’ve reached out to some of my favorite podcasters to see what they’re working with. I’ll be highlighting some of those in the coming weeks, beginning with Ben Lindbergh, the host of my favorite baseball podcast, Effectively Wild. For six and a half years and 1,341 episodes, the Fangraphs-produced show has offered an idiosyncratic look at the world of sabermetrics — statistically fueled baseball analytics. Host Ben Lindbergh is also a baseball writer at The Ringer, who has formerly written for Baseball Prospectus, Grantland and FiveThirtyEight. I use Cast to talk to and pull local audio from guests who can connect via computer, resorting to Skype and MP3 Skype Recorder when necessary for phone conversations. I use Audacity to edit, which works fine for me. My employers have helped with hosting and promotion, and Facebook has been best for building a community. All told, it’s a simple, inexpensive setup, but with some care in the production process, it still sounds good. Remote recording has its hurdles, but given chemistry between co-hosts, repetition, practice and judicious editing, cross-country conversations can sound as intimate and natural as in-studio discussions. Sometimes it’s freeing to be far apart. I’ve been working this way for so long that it now seems strange to be able to see the person(s) I’m podcasting with. If we’re doing it right, though, the listener won’t notice or mind that there’s a continent between us.